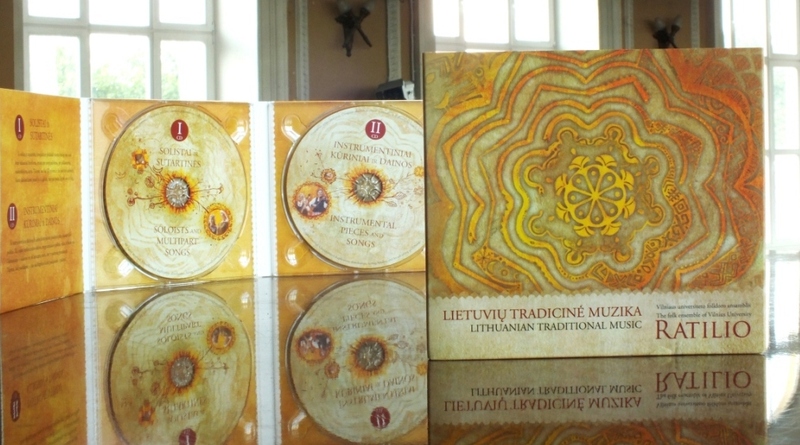 On December, 2012 we released a double CD album of Lithuanian traditional music with intention to celebrate the 45th anniversary of the ensemble. In this album we recorded our most beloved soloist and multipart songs, discovered through self-exploration, attentive listening and tuning ourselves together. You can listen to ancient music instruments such as ragai (horn), skudučiai (pan-pipes) and kanklės (a type of nine to five-stringed zither). 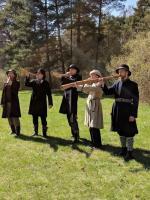 A special part of the album is formed by the archaic Lithuanian folklore genre of multipart harmonious singing the “sutartinė” (which was added by the UNESCO to the list of intangible cultural heritage in 2010). The second part of the album is full of youthful spirit. It's a set of our most beloved songs, favourite polkas, waltzes and foxtrots, which we sing and dance in concerts and gathering alike. We hope that all of us would listen and come together to sing and dance them all!